The formal tasks that forensic pathologists and neuropathologists are asked to perform in the courts vary from country to country according to convention and statute, and will therefore not be dealt with in detail here. For details on the role of expert forensic witnesses in U.S. courts, the reader is referred to Leestma and Magee (1988), and for the English system to Knight (1996). 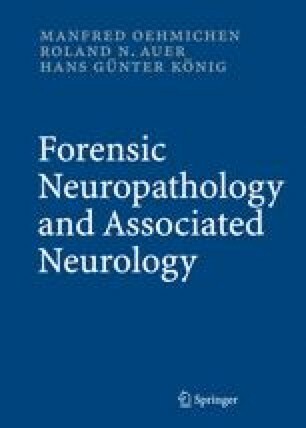 In all different countries the forensic pathologist/neuropathologist is accountable primarily to legal authorities, i.e., the judiciary, lawyers, and/or public prosecutors. But they cannot avoid an additional, specifically medical/ethical responsibility, which extends to questions of experimental neuropathology and neurology, i.e., the use of certain experimental diagnostic and therapeutic methods, and to civil and political actions such as maltreatment and torture. To our knowledge, no legal system in the world places physicians as physicians under the threat of civil liability. Physicians, therefore, are subject to the general rules of liability, with the effect that modern laws of medical liability are a part of case law created by the courts in most countries. Beyond this formal task, a second justification forms the basis of the forensic physician’s conception of his efforts: the prevention of unnatural death as well as the prevention of injury as a result of maltreatment and torture. Unnatural deaths are preventable and therefore — of course — of eminent interest in the field of (forensic) medicine. Recognition of violence, maltreatment, and torture is an especially important task of the forensic physician (Oehmichen 1999; Hall 2000; Barnett 2001), who is duty-bound to undertake all measures necessary to prevent these forms of violent injury before they result in death. Even if such a case has ended in death, measures must be taken to prevent others from becoming further victims. The appropriate civil and/or law enforcement agencies must be informed, and, in certain circumstances, the public itself. This duty must be fulfilled not only in cases of violence and maltreatment within a family or specific social group, but also in cases of maltreatment on the part of the police, prison guards, and/or the public prosecutor’s office. Such a task is of particular importance — and entails real risks — in countries where torture is still officially tolerated. If violence, maltreatment or torture is observed or suspected, the physician — even the forensic neuropathologist — is obliged to register a protest from the medical point of view.